How engaged citizens have worked to improve education in inner-city schools. Observers of all political persuasions agree that our urban schools are in a state of crisis. Yet most efforts at school reform treat schools as isolated institutions, disconnected from the communities in which they are embedded and insulated from the political realities which surround them. 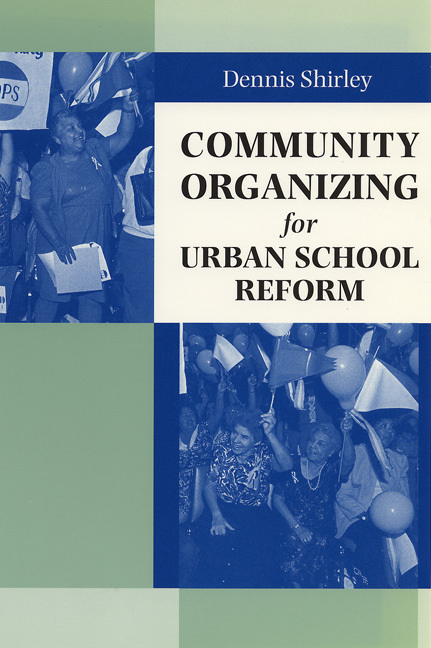 Community Organizing for Urban School Reform tells the story of a radically different approach to educational change. Using a case study approach, Dennis Shirley describes how working-class parents, public school teachers, clergy, social workers, business partners, and a host of other engaged citizens have worked to improve education in inner-city schools. Their combined efforts are linked through the community organizations of the Industrial Areas Foundation, which have developed a network of over seventy "Alliance Schools" in poor and working-class neighborhoods throughout Texas. This deeply democratic struggle for school reform contains important lessons for all of the nation's urban areas. It provides a striking point of contrast to orthodox models of change and places the political empowerment of low-income parents at the heart of genuine school improvement and civic renewal.